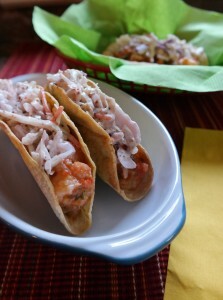 Tomorrow is Cinco de Mayo-just that thought makes me crave Mexican food. Of course, it doesn’t take much for me to crave Mexican food-it’s one of my favorites. In my younger days, I used to make my Cinco plans way in advance with careful contemplation of-who was going to have the cheapest margarita prices, the best food specials, and the hippest bands. The destination also had to be where I could get in early to hold a table for all my friends. I guess I wised up or just got older to realize the best place to celebrate Cinco De Mayo is home-no crowds. I either make a batch of margaritas or have a few Mexican beers with lime. My biggest decision to make for Cinco nowadays is what to cook. But one thing is for sure, I always have my Mexican Fiesta or Cantina Mariachi CD’s playing. Got to set the party mood! 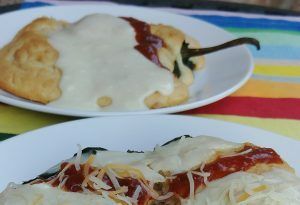 Here is a recap of a few of my creations to help satisfy any Mexican food cravings. Want to jump-start the day? 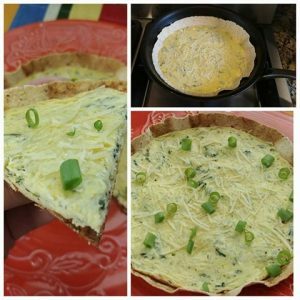 Use the last 1/4 cup of your favorite dip like (Spinach & Artichoke dip) to make a Frittata Tostada. Whisk 1 egg and 1 TBSP cream cheese into dip. Spray 1 side of a 8-inch tortilla with non-stick spray or olive oil. Press that side down into a 8-inch skillet over medium low heat. 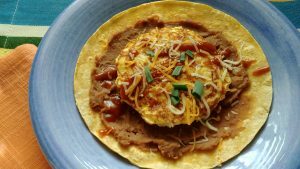 Pour egg mixture evenly over tortilla. Cover. Cook for 5 minutes. Remove from heat. Let stand 5 minutes. Top with grated cheese, if desired. 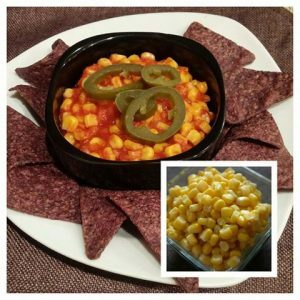 Make a quick & easy corn relish with 3/4 cup leftover corn. In a small saucepan, add 1/4 cup chili sauce, 1/4 tsp each onion & garlic powder, & 1/2 Tbsp butter (or jalapeno juice, I like to add jalapenos, too). Cover. Simmer for 5 minutes. Let cool before serving. 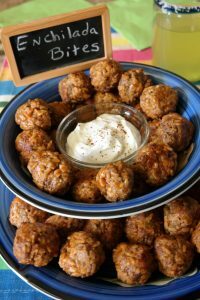 Serve with chips for a quick dip! Any leftovers? 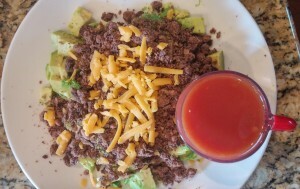 Stuff in an avocado, use in tacos, quesadillas, omelettes, veggie burgers, salads, or as a topping for fish, chicken, crab cakes. 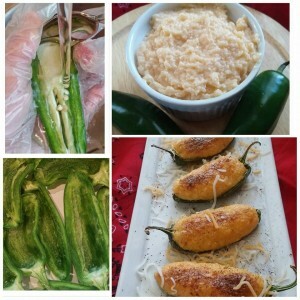 Make stuffed jalapeno peppers with leftover cheese grits. Slice jalapeno in half lengthwise, scoop out seeds & membranes under cool running water. Fill halves with cold grits. Broil until golden brown. leftover red beans? 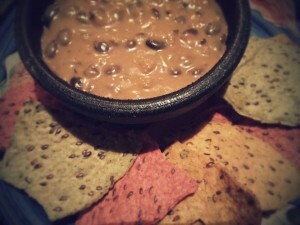 Make a quick bean dip! Mash & add a can of drained black beans. Heat. Add cheese or queso for bean & cheese dip. In the mood for tacos? 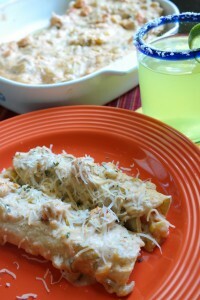 In the mood for enchiladas? 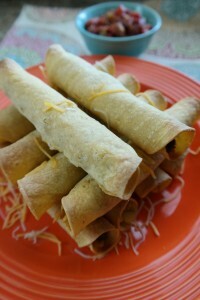 In the mood for tamales or taquitos? 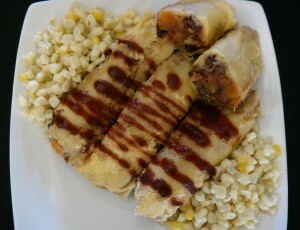 In the mood for chiles rellenos? In the mood for a salad? Remember to put your TO COOK IS TO CREATE thinking cap on! Didn’t see anything that tempted your taste buds? 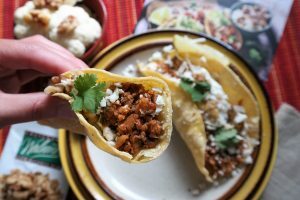 You can still put your spin on any of your favorite Mexican dishes with leftovers and homemade Taco Seasoning or Enchilada Sauce. Use leftovers as a filling for an easy quesadilla or as a quick topping for nachos. If you do decide to join the crowds, don’t forget to ask for a to-go container for the leftover chips and salsa. 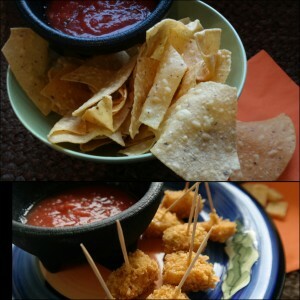 Use the leftover chips and salsa to make a spicy fried cheese snack! Simply process chips until crumbs. Cube favorite cheese-pepperjack, habanero cheddar, good choices. Set up breading station: flour with 1/4tsp paprika, egg wash, tortilla crumbs with 1/2 tsp chili powder. Use toothpick to hold cheese. Double dip flour & egg then into crumbs. Put in freezer at least 1/2 hour. Keep toothpicks in cheese. Deep fry 1 minute. Enjoy with salsa! 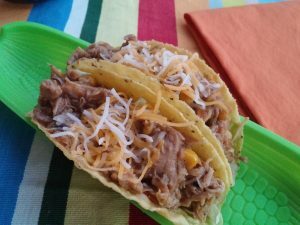 Food Fun: It is always fun to have a celebration. Play some Mexican music, put on a sombrero, and dance. Happy Cinco de Mayo!